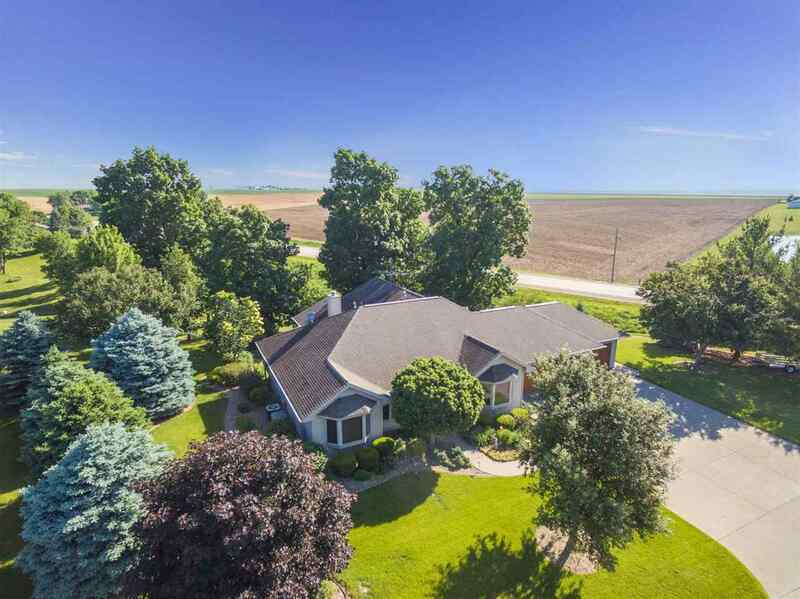 Quality, custom-built ranch on 1+acre with fabulous landscaping & firepit. Features on the main floor; open concept, vaulted ceiling, wood burning fireplace, sun room, chef&apos;s kitchen w/center island, the master suite w/master bath, 2 additional bedrooms, full bath, formal dining room & office space. Newly painted walls & custom built-ins throughout. Oversized 3 car garage adjacent to kitchen. Walk-out lower level with family room & wet bar, full bath & laundry room. Dream workshop. Appliances included.